Gaining too much weight during pregnancy is avoidable if a pregnant mama takes the right steps to stay healthy, eat the right amount and stay as active as possible. Weight gain during pregnancy is inevitable, and healthy as long as you don’t gain too much weight. With pregnancy brings appetite increase, cravings, aches and pains and difficulties staying active, which is a perfect recipe to gain too much weight during pregnancy. So how do mamas keep track and stop themselves from gaining too much weight? How much weight should a mama gain during pregnancy? As a Pre/Post Natal Fitness Specialist, and creator of The Belly-Only Pregnancy Program, I am going to give you my 5 top tips to avoid gaining too much weight during pregnancy. Your health care provider will guide you individually on how much weight you should gain during pregnancy, but the standard rule is 25-35 pounds. Technically, if you are already over weight, in most cases you don’t need to gain much weight. You can even lose weight during pregnancy if you eat right and have a lot of extra weight to lose. On the other side, if you are underweight when you get pregnant, you may gain more if your body needs it for hormonal function. In general, sticking to the 25 pounds is a good goal. That’s about how much I gained and lost with each pregnancy. The first trimester was the most difficult for me because of the nausea, which actually made me want to eat more. Some mamas experience a loss of weight in the beginning because of the nausea, but make up for it later. No matter your situation, the goal is to eat healthy and active. NOT EAT FOR TWO. How Many Extra Calories Should I Eat While Pregnant? 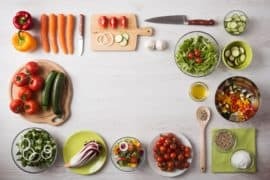 If you want to use a calorie-counting method to help you with your weight maintenance while pregnant, the general rule is around 300 extra calories. I prefer to go off of hunger cues. This is the center of my Belly-Only Pregnancy plan. Eating nutrient-dense foods, according to hunger cues, rather than counting calories. BUT, counting calories can be extremely beneficial to anyone who has difficulty with fullness and hunger. Some days you may need 500 extra calories and others only 200. Our bodies change and adapt to our environment, activity level and nutritional intake, but 300 is a good guidelines. How Do I Avoid Gaining Too Much Weight While Pregnant? What I mean by this, is you need to find healthy alternatives to your regular cravings. For example, if you crave pizza, find a cauliflower pizza crust option. It will lighten the carb load, give your body more nutrients and help you with your weight. If you crave fries, make sweet potato or avocado fries. Invest in an air fryer as an option to make junk food much healthier. This takes some thought, recipe searching and planning. Cravings are one of the biggest reasons you are going to lose control of your healthy eating. If you crave ice cream, search for lighter ice creams, make frozen banana ice cream, or do frozen yogurt. 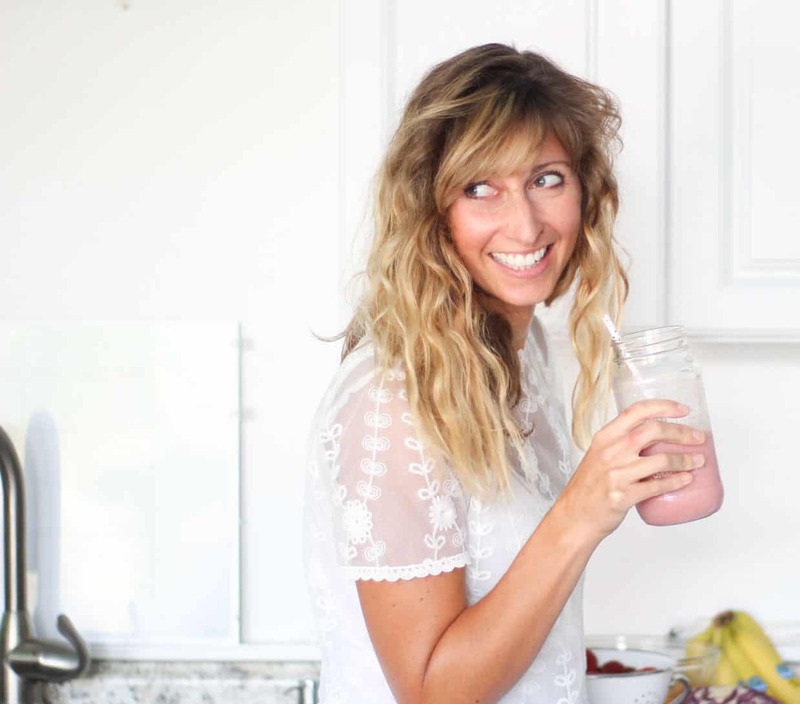 I personally LOVE protein shakes for a sweet treat, and really did when I was pregnant. I have my own protein powder, Milk Dust coming out this Spring, which is safe and full of folate for pregnant mamas, as well as lactation-boosting properties for when baby comes. I believe protein shakes are so valuable for a sweet treat, as well as getting lots of nutrients for baby and mama. Until Milk Dust comes out, I highly recommend Ora Organics as a great protein powder option that is clean and healthy for mamas. This is the center of my program. I highly recommend my program if you need motivation, recipes and a plan that gives you the knowledge you need to make better choices. 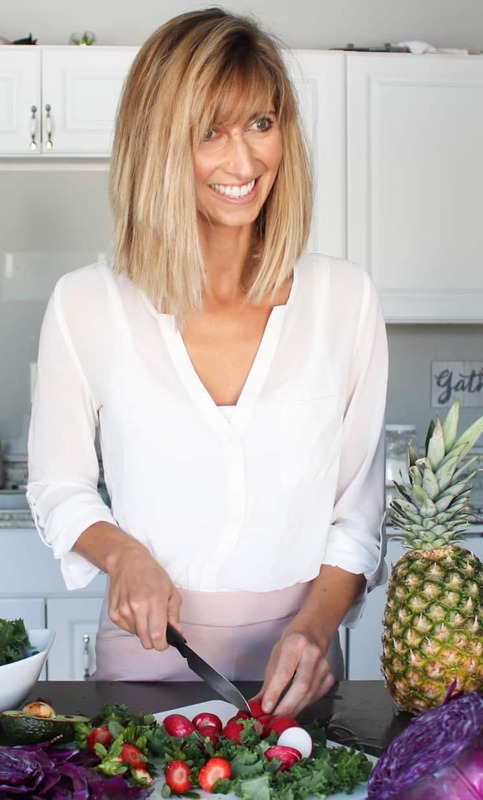 If you need a full meal plan, grocery lists, more recipes and lots of support from other mamas, my full program, The Postpartum Cure is also a great place even when you are pregnant. 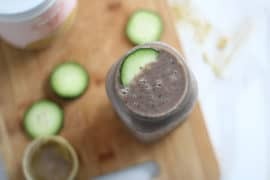 There is a Facebook group for mamas to connect and support each other, meal plan, recipes, grocery lists, workouts and more. Not all the workouts are geared towards pregnancy, but the Belly-Only Program does have pregnancy-specific workouts you can do. If you do well finding recipes on Pinterest, then focus on protein, fruits and veggies at every snack or meal. The reason you want to do this is because it will keep you feeling full. Fullness can help you stay away from less-than healthy foods and diminish cravings. Filling up on fiber specifically, with fruits and veggies, will keep you full on nutrients, rather than calories. This is super helpful for managing weight. Walking during pregnancy is extremely beneficial for circulation, keeping your heart healthy as well as keeping your blood pressure down. Walking is the easiest cardio to do, and especially important if you have a desk job. Sitting for long hours can cause more swelling and increase in appetite. I highly suggest sitting on an exercise ball to help with back pain, pelvic floor issues and posture issues. Walking can also reduce your appetite or cravings, so if there are specific times you crave certain foods, try going on a walk first to help alleviate the craving. Walking at least 30 minutes is desirable, and 60 minutes is even better. Walking is free and requires no equipment. If you were more active when you got pregnant, do your best to keep up that activity level through pregnancy. That way your cardiovascular strength doesn’t diminish as much. Maintaining muscle mass while pregnant is a great way to keep your metabolism buzzing. 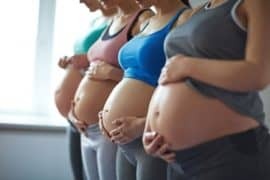 If you gain fat and lose muscle while pregnant, your metabolism will actually slow down, so you end up burning less calories at resting, than you did before you were pregnant. So much for needing the extra 300 calories. But, this is how our bodies work. Less muscle means your body doesn’t need as many calories to function. By doing strength training at least 3 times a week to maintain your muscle mass. I have strength workouts that offers compound moves. This means you work your arms at the same time as your legs, or multiple muscle groups at one time, so you can get more done in one move. If you maintain a healthy diet, conquer cravings, stick with cardio and maintain your muscle mass, you are on a great track to gain the right amount of weight during pregnancy. Of course the concept is easiest said than done. But, if you focus on it and enjoy being healthy, before you know it, eating healthy during pregnancy and staying active becomes a way of life. 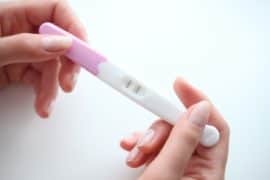 It is great to start this on your first pregnancy, so you build these habits for additional pregnancies. I know it isn’t easy, but it slowly gets easier. The third trimester was always the easiest for me because I finally didn’t struggle with nausea anymore, regained energy, and new I was in the final stretch. Have patience and enjoy healthy food. It will pay off! Is Protein Powder Safe for Pregnancy?